My best friend wife went for her first ever run this week and I feel like a gushing proud parent. After years of laughing at me for totally getting off on running, getting up early to bosh out a seafront plod or even taking my running shoes to Glastonbury for a dose of festival endorphins, she’s finally dipped her toes in the water and downloaded the Couch to 5k app. You have no idea how much this excites me. She’s gonna get to experience so much. That first time she’ll run for 10minutes non-stop. Then 20. Then complete a full 5k. Then parkrun, her first race, and who knows what else. It’ll be hard, and sometimes she won’t want to run, but hopefully she still will, and every time she runs that little bit further she’ll feel invincible. And one day, it’ll just click, like it did for me, (and you?) and she’ll be running and suddenly everything will be beautiful in the world, and her favourite track will come on, and the sun will come out (or heavens open), and a supermassive grin will creep over her face. And right there, she’ll fall in love with running. Sport England’s latest Active People Survey released this month shows that less than a year since This Girl Can* was launched, the number of women getting active once a week, every week, has increased by nearly 150,000. As someone who spent their teenage years and early 20s inhaling junk food, smoking 20 roll ups a day and sitting on one’s arse 90% of the time, I find that pretty amazing stuff. I can’t remember any campaigns when I was growing up encouraging more of us into sport. There was no social media so I guess it was a lot harder to generate the reach that’s available nowadays, but essentially, I couldn’t be arsed and had nothing or no one to really inspire me to change that. *Read more about my partnership with This Girl Can and Active Sussex here. I’m just coming out the other side of a few weeks break from running and right now I need all the inspiration I can get to get back on it. This is such an important lesson for beginners as well as seasoned runners coming back after a break. I’ve only had a few weeks off but at the moment every run is uncomfy and ploddy and just not right. I’m feeling no love right now but I know that running rewards consistency so I’ll keep plugging on. If you’re just starting out, start slow, and build up steadily. Don’t go out too fast or far – your body needs to adapt and will do so much better if you’re patient with it. The Couch to 5k app is a great place to start. 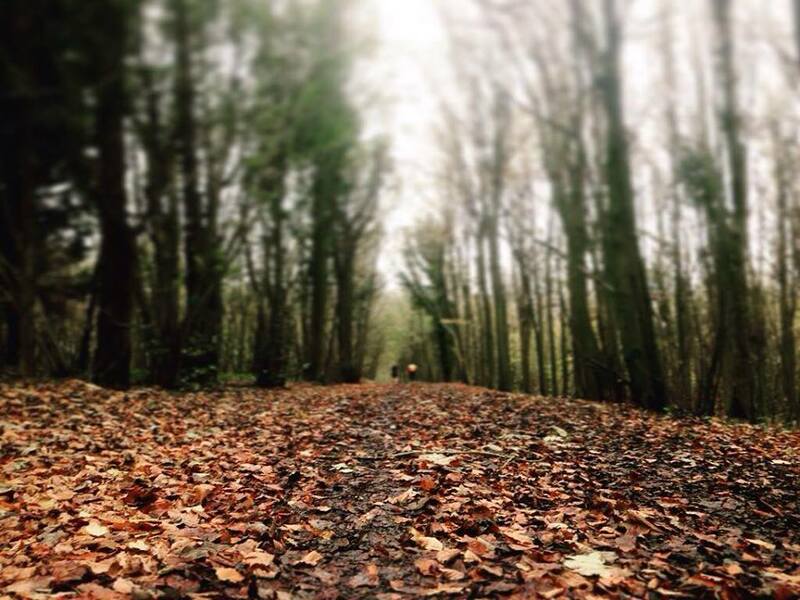 Living in Brighton is a runner’s paradise, with the seafront, cliffs, rolling hills on the Downs and muddy trails of Stanmer Woods. Even with all this choice I do tend to default back to the same old seafront route though, so over the next few weeks as I train for Brighton Half Marathon, I’ll be exploring more of the trail to keep things interesting. Don’t let yourself get bored – joining a club or running group is a great way to explore new routes if you’re nervous going out on your own. Nothing is more motivating than the deadline of a target race. No marathons for me next year – 2016 is all about the triathlons, cycling and short, fast runs. 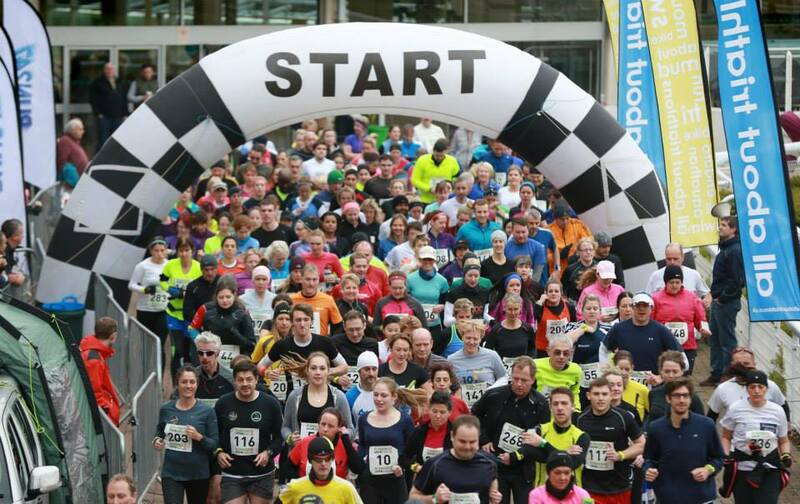 If you’re just working out how to start running, choose a 5k or 10k training plan that you can keep up with, and give yourself plenty of time to get ready for race day. If, like me, you’re coming back after a break, choose something that requires enough effort that you can’t blag it and makes you keep lacing up even when you can’t be arsed. It’s a sub two-hour half at Brighton Half Marathon this February for me, and I’m running out of time so best get moving!! I don’t think I really loved running as much as I do now when I used to run on my own. I’m lucky enough to be able to run with (or 2 miles behind) my turn-up-and-smash-it-without-training husband, so it’s nice to experience it together. I’m also part of BOSH Run, Brighton Triathlon Race Series and have made running friends from RunBrighton and other marathon training groups in the past, so have a nice big crew to call on or bump into in training and at races. parkrun is also great. I love it for so many reasons. Its inclusivity, community and motivation to get up and out on a Saturday morning. There’s more to it than just plodding round the park. I used to just turn up, run and head home straight afterwards but now I use it as a weekly catch up with the many friends and familiar faces I’ve met through running in Brighton. 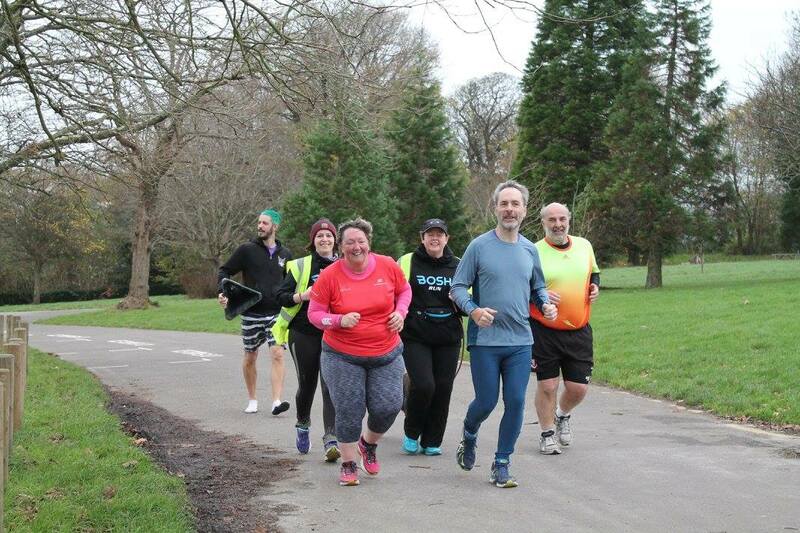 The latest parkrun newsletter features an inspiring lady from my parkrun at Preston Park, Mandy Miles. (Actual name, amazing, right?) Every single week, she’s there. Mandy epitomises everything I love about parkrun, running, and Brighton in general. If you spend a lot of time on the sidelines thinking you’re not a runner or can’t join in, think again and have a read of this. Every single one of the people in this photo are amazing and there’s plenty more where they came from. 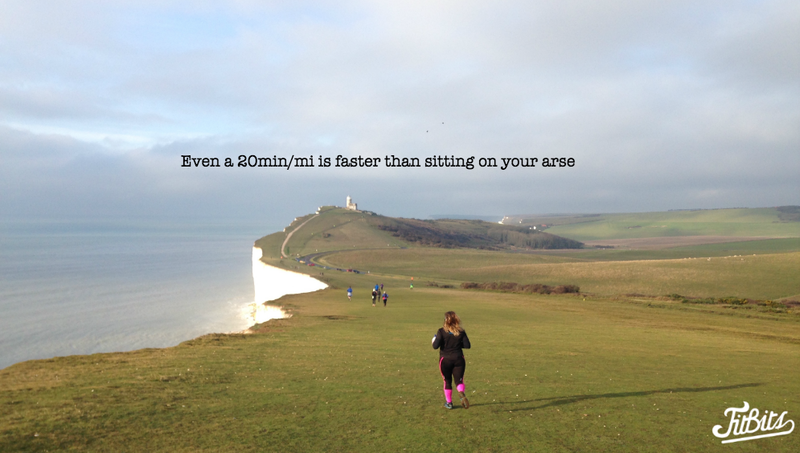 You just need to join your local running club, group or parkrun to find them. 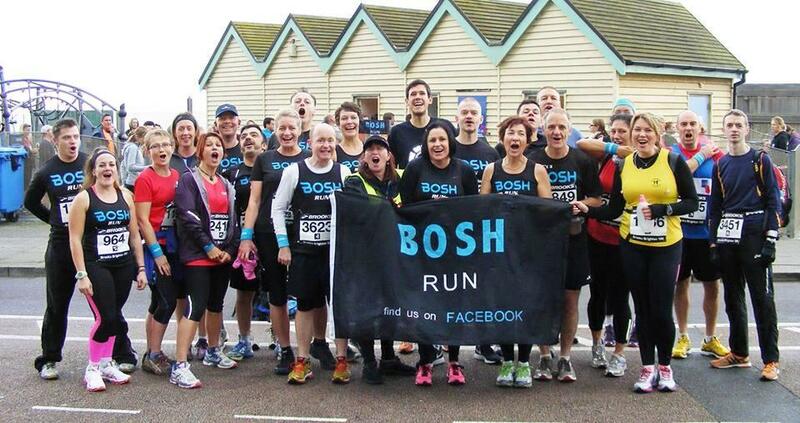 (And totally join BOSH Run on Facebook, it’s awesome). How did you start running? When did you fall in love with it and how?